This well maintained 3 Bedroom, 2 Full Bath open plan ranch is ready to move in! 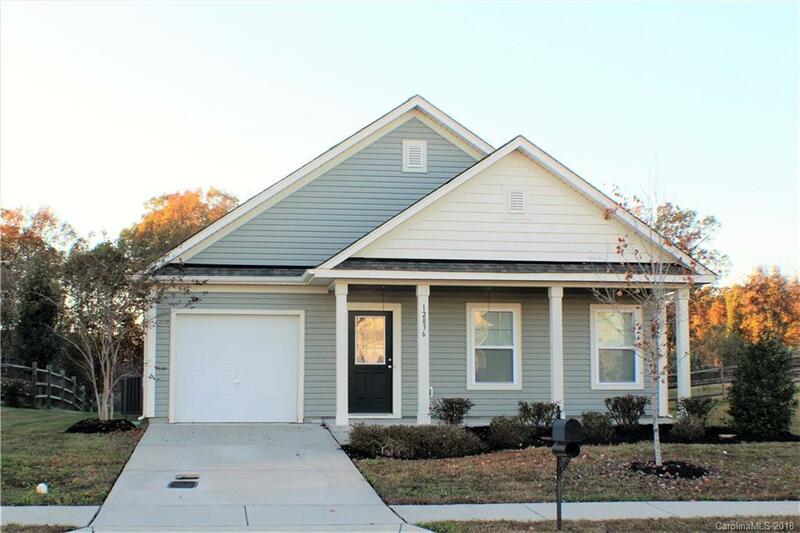 9 foot ceilings & window blinds throughout- Smooth ceilings & 2 tone paint throughout- New hardwood laminate floors in Foyer, Great Room, Dining Area, Kitchen & full Hall Bath. Spacious Great Room is open to the Dining Area and Kitchen with granite counters, 3 pendant lights over island, tile backsplash, pantry and all stainless steel appliances including bottom-freezer refrigerator, smooth top electric range, built in microwave & dishwasher. Master Bedroom with walk-in closet, ceiling fan, 2 windows & a private bath that has a 5 ft wide shower with sliding glass doors & vanity with knee space. Front Bedroom 2 has a walk-in closet & two windows. 1-Car attached Garage- Architectural Shingle Roof- Covered front porch- 12'x12' rear patio- .21 Acre lot backs to natural area for added privacy. Home is located in a 100% financing USDA Rural Development Eligible Area.